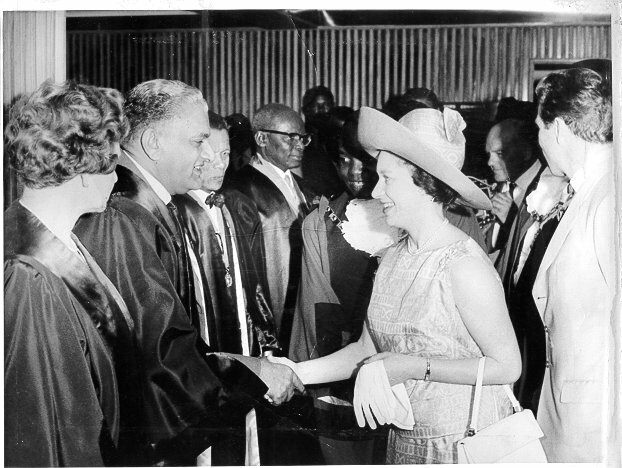 The Mayor of Jinja, councillor C. K. Patel introduces Mrs Nargis Jaffer to Her Royal Highness, the Queen Mother. Dr and Mrs Kati look on. 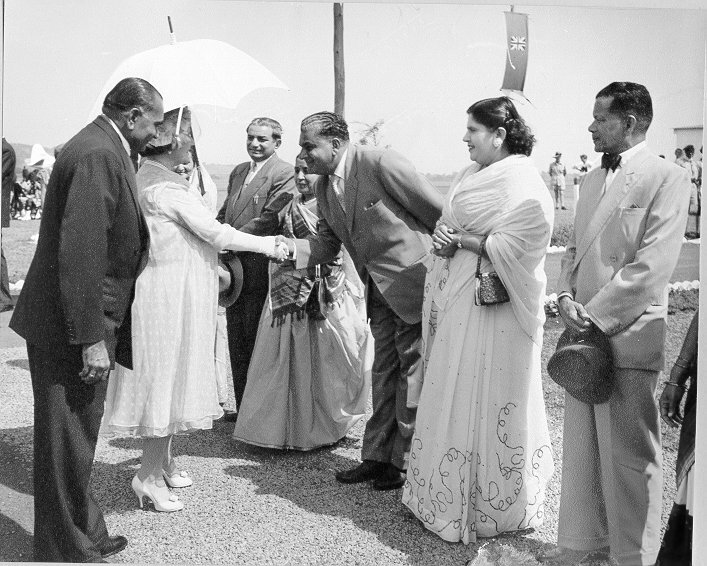 The Mayor of Jinja, councillor C. K. Patel introduces Mr Raza Jaffer to Her Royal Highness, the Queen Mother. 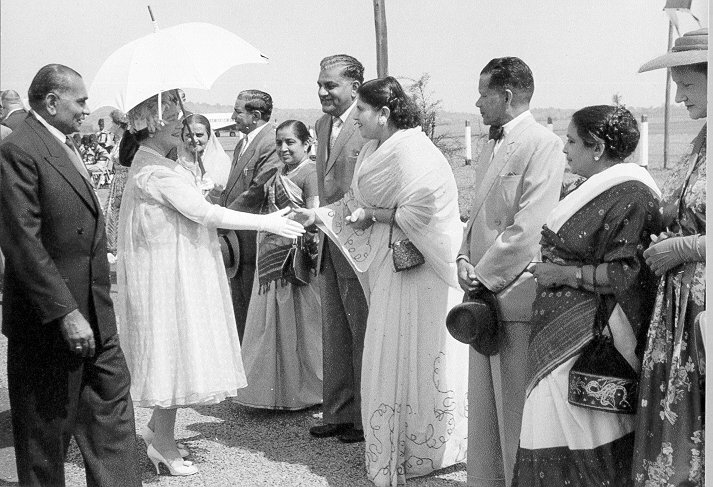 Her Royal Highness Princess Margaret meets Mr Raza Jaffer. Images courtesy of the R. K. Jaffer Family.